A conglomeration of 16 cities and one town sprawling along a flood plain, Metro Manila is a complex place. Between 20 and 35 percent of the National Capital Region’s nearly 13 million residents reportedly live in informal settlements. But they don’t live in peace. Not only do typhoons routinely upend their existence, but they also face a traumatizing cycle of eviction and relocation. The routine goes something like this: the government evicts a slum, demolishes the buildings, and relocates the residents to far-flung towns — those residents then move back to Manila and rebuild anew. This cycle leads to shoddy construction and destabilized communities, leaving slum dwellers with limited capacity to adapt to disaster risk and climate change, both major concerns for the city. Yet the relatively weak bureaucracy offers few solutions other than to crack down on slum dwellers even harder. With limited government-led solutions, the private sector has stepped in. But the private sector’s approach to development often segregates the urban poor. 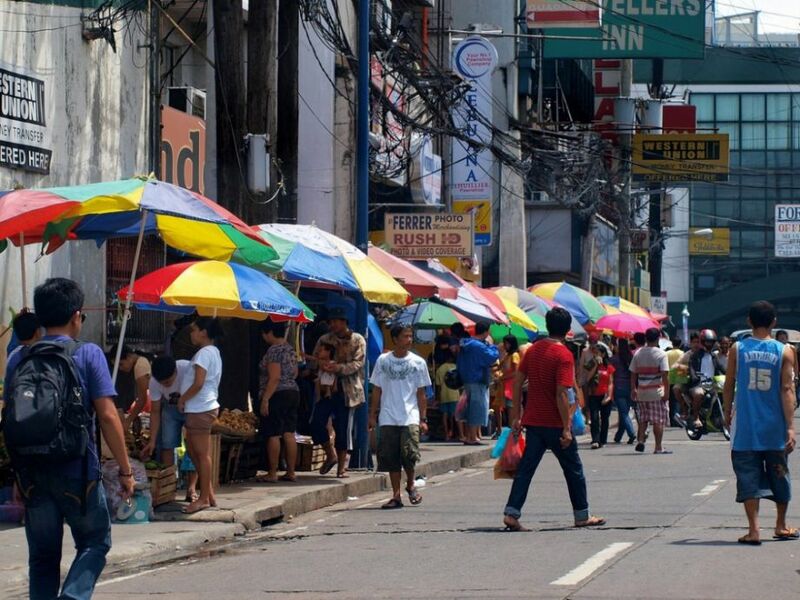 Advocates for the poor argue that this is myopic — many of these excluded residents work in Manila’s informal economy, a sector that employs nearly half of the city’s residents, from shoe vendors to domestic employees. They represent not only the labor that powers the economy, but also an untapped consumer base. Yet the government makes few efforts to integrate them into society. Recently, however, with the participation of NGO’s and grassroots organizations, there have been nascent signs that developers and the government are shifting course. For instance, pilot programs will allow informal settlers to remain in their homes even after developers buy their land. But having profit-oriented real-estate companies take responsibility for the urban poor’s welfare is a scheme rightly being watched by advocates with wary skepticism.